Do you live in the Brisbane metro area? 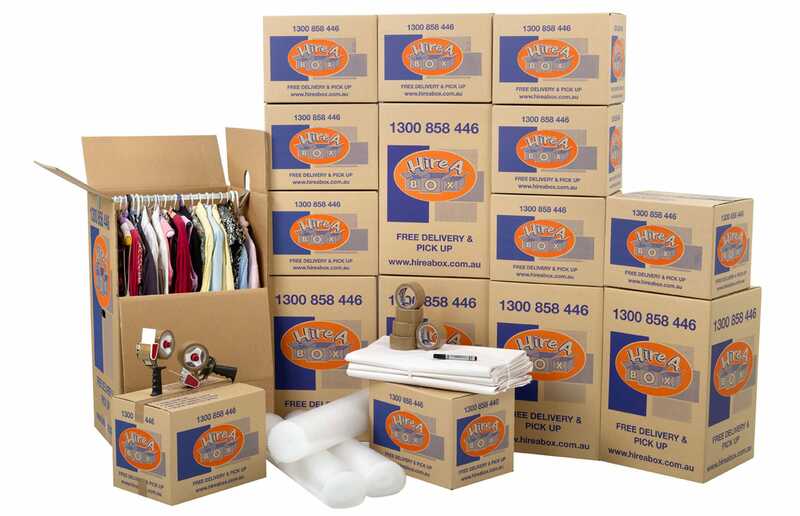 Are you looking to get your hands on moving boxes in Brisbane quickly and with a minimum of fuss? If the answer is yes, you have come to the right place! Did you know we deliver 6 days a week in Brisbane? Plus with our 2 hour delivery time window of your choosing, you don’t even have to sit around waiting all day as our personal friendly staff can hand deliver the moving boxes directly to your door! Save 10% on your boxes when you use our removal or packing services. IS HIRING RIGHT FOR YOU? Hiring boxes is the most economical option as long as you have the boxes collected within the 3 months maximum hire period. If you are moving to a suburb outside of the Brisbane metro area or you need to keep your boxes for longer than 3 months then it is cheaper for you to buy boxes instead of hiring them. Why use the Hire A Box Service? Hiring moving boxes in Brisbane saves you up to 30% on what you would pay a removalist for their boxes or buying them from our competitors! You can choose to either rent our boxes or buy them – depending on how long you need them for! Hiring is not only cheaper but is also great for the environment. Our packing boxes are extra strong, made from good-quality cardboard to ensure that your belongings stay safe during the moving process. Call up in the morning to see if we can deliver your storage boxes the same day, or book online for next day delivery. Choose a convenient 2 hour delivery window. Our drivers will deliver your packing boxes in Brisbane direct to your door anytime between 8am-6pm. Simply place an order for Brisbane packing boxes online and they will turn up at your doorstep by the next day! Renting our packing boxes in Brisbane will save you money. The cost of moving can skyrocket out of control if you don’t carefully plan. The price of hiring one of our boxes is normally around half of what you would pay for packing boxes Brisbanefrom other removal companies. 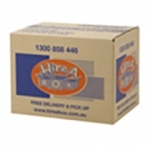 At Hire A Box, we stock the three most commonly requested packing boxes people look for when moving. Our range will suit all moving needs, ensuring your belongings stay well-protected during the chaotic moving period. We also stock a wide selection of packing materials to ensure you stay organised and on top of things when relocating. Order over $65 worth of hire items and the direct delivery will be free. Run out of packing boxes in Brisbane? Not a problem, with your order you get one top-up with free delivery, which can be used at any time within the three-month hire period. Best of all, once you’ve settled in to your new location, we will come and collect the packing boxes for you for free, saving you time and money. The hire period for our packing boxes in Brisbane is three months. Think you’ll need them longer? Not a problem. You can either purchase the boxes up front, or simply elect to forfeit the small deposit charge paid upon the boxes and hold onto them. Looking for a Trusted and Cost-effective Removalist Service in Brisbane? 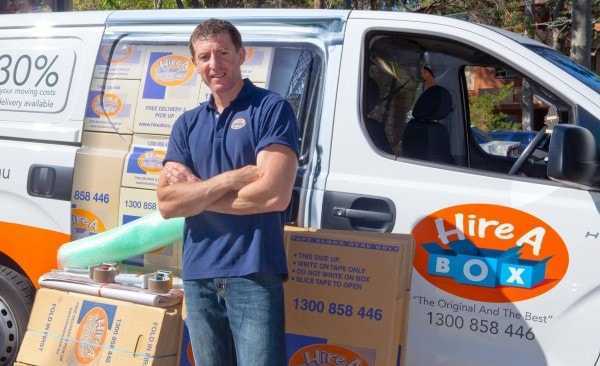 As Hire A Box is part of the Hire A Mover group, when you buy or hire boxes in Brisbane with Hire A Box, you have the additional benefit of being able to use the Hire A Mover Brisbane removalist service. Not only is Hire A Mover the trusted, cost-effective, and preferred mover for thousands of Brisbane-siders, you are also eligible for a 10% rebate on what you spent on the boxes! Ask our staff how, or when ordering your packing boxes online, simply tick the checkbox asking if you would like a quote for your move! You can order online 24 hours a day for next day delivery. Pay securely using your Visa or MasterCard. Alternatively you can pay with a cheque at the time of delivery. Ordering online with your credit card is secure using our SSL secure payment gateway. You can also ordering by calling our customer service staff on 1300 858 446 between the hours of 9am and 5pm EST Monday to Friday. 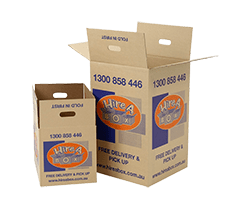 If you’re looking for cheap, strong and durable packing boxes in Brisbane then look no further than Hire A Box! Place your order online now and get packing tomorrow! I found Hire A Box on google and their website was the best out of the lot. When it came time to delivery I was also impressed with the delivery person who was friendly and helpful. the Boxes are all strong and I would recommend to others, thanks Hire A Box. Great customer service and the boxes were high quality. Quick delivery and collection. Will definitely be recommending!